Thimphu city police have detained two suspects, in connection with the murder of a 50-year-old taxi driver, whose body was found on the way to Royal Thimphu College. 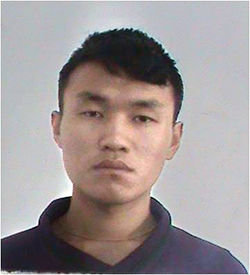 The third suspect, Karma Dorji, who is from Paro, is still at large. The police arrested one of the suspects from his house in Olakha in Thimphu. In a statement to the police, the suspect said the taxi driver was ferrying him and Karma Dorji, from Phuentshogling to Thimphu. They had agreed to pay Nu 2,000. Upon reaching Thimphu, the driver is said to have demanded that they pay up Nu 5,000. It was 2:30 in the morning of April 21. Both the passengers did not have the amount. They had then called their friend, the third suspect. However, the amount did not add up even then. A brawl had ensued and that’s when the two had repeatedly stabbed the driver. Both the main suspects have past records with the police. The police recovered contraband substance from the suspect’s house and registered a case of voluntary manslaughter against the suspects.